Detail - Uniforms of the Imperial Army of Maria Theresia - The German Infantry Regiments - Pallaancini Inf. 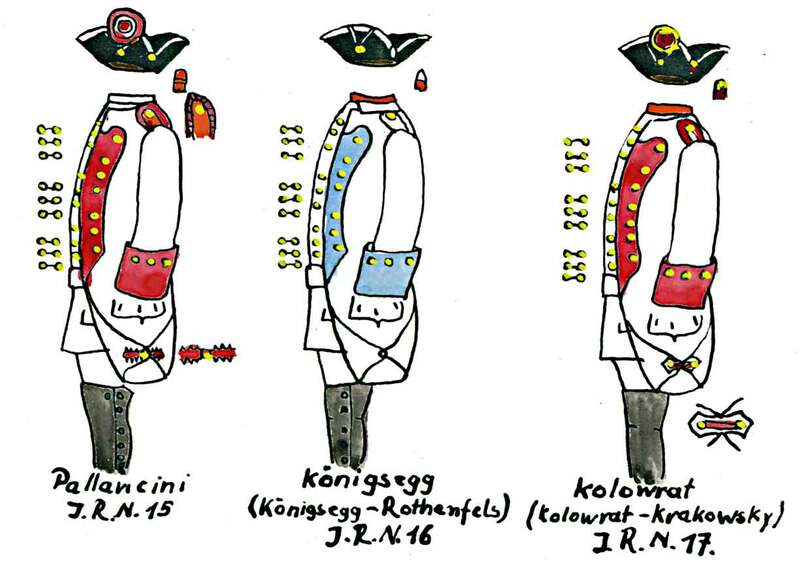 Regt # 15 - Konigsegg (Konigseeg-Rothenfels) Inf Regt. # 16 - Kolowrat (Kolowrat_Krakowsky) Inf. Regt. # 17.